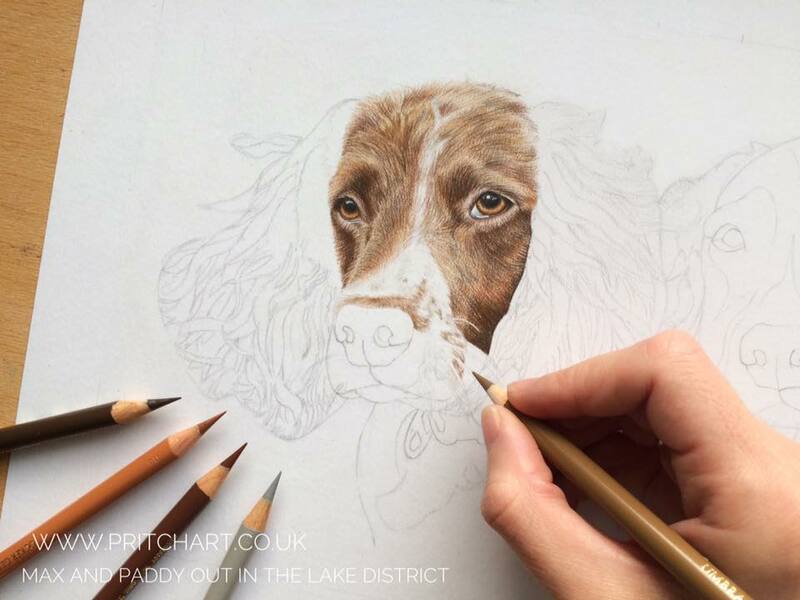 Max & Paddy are two dogs loving life living in the Lake District who shot to fame after their owner Kerry began posting photos and videos on Facebook of the dogs having adventures on the mountains and hosting charity walks. Their adventures have raised thousands of pounds for charity and have a following of 67k which rapidly continues to grow. Most recently the pair have appeared on the One Show and Britain’s Favourite Walks: Top 100. 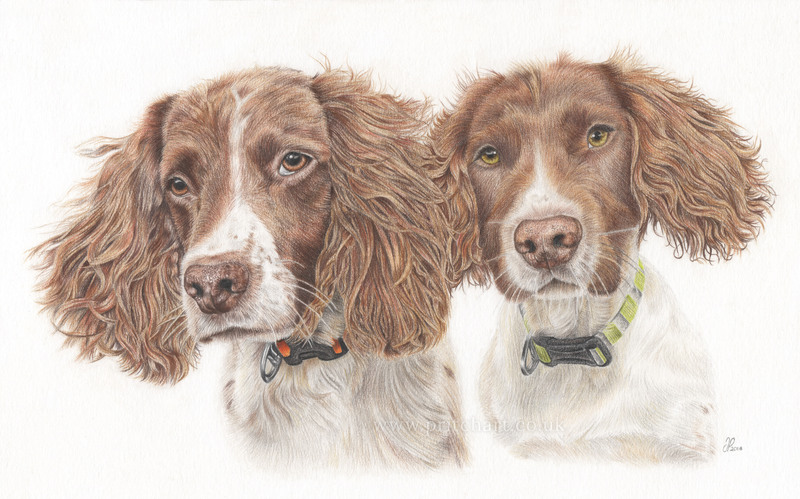 I was delighted to have the opportunity to draw these two showing their ‘flapometers’ flying in the wind. 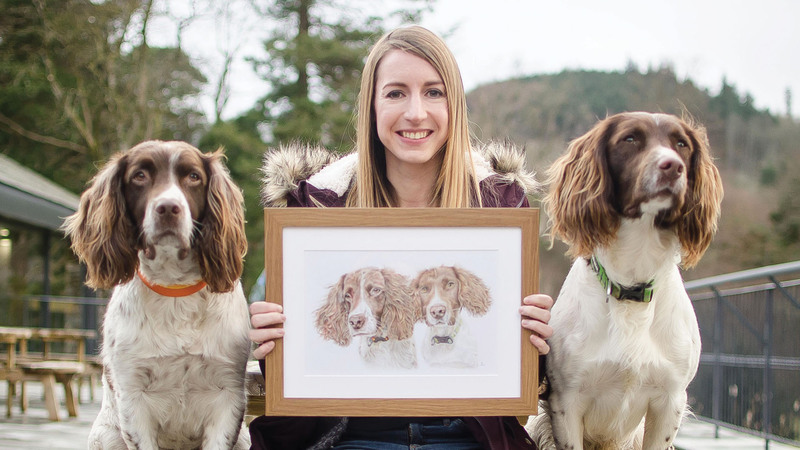 The week I completed the portrait coincided with one of my regular Lake District holidays meaning I was able to present it to their owner Kerry in person over a good cuppa! He was overjoyed and it was lovely to see someone open one of my portraits in person. 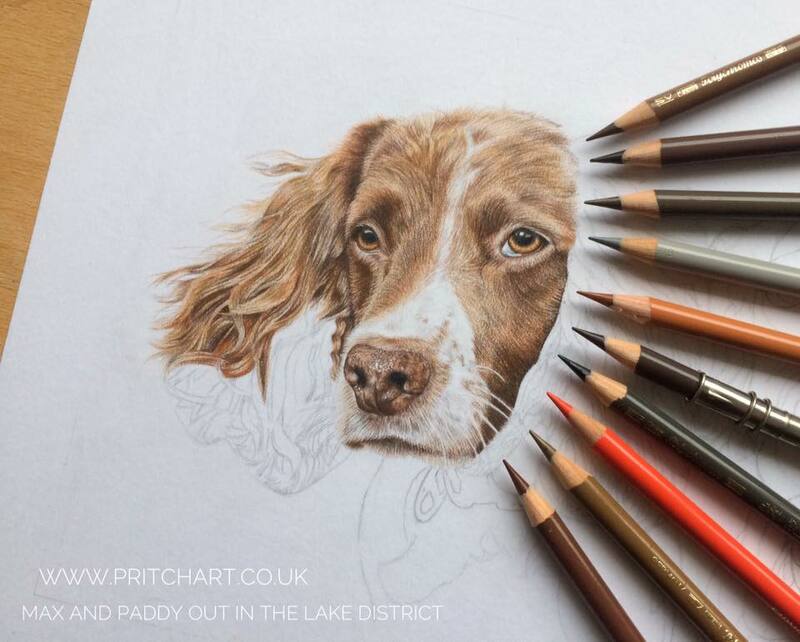 Max & Paddy are such sweet and well behaved dogs who are lucky to have such a lovely owner and I’m happy to say that I’m officially a Max & Paddy approved artist! 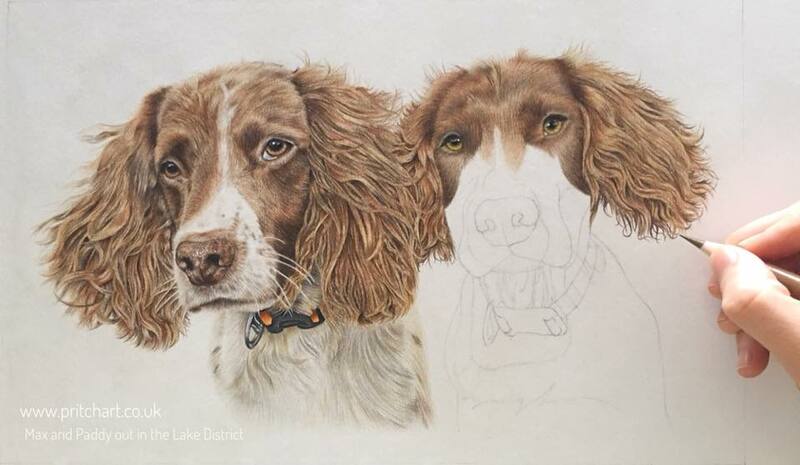 Your artwork of Max & Padie is fantastic just like the Dogs themselves.